You Are Here: Home » Around the Web » Happy Book Birthday to Wake the Hollow! 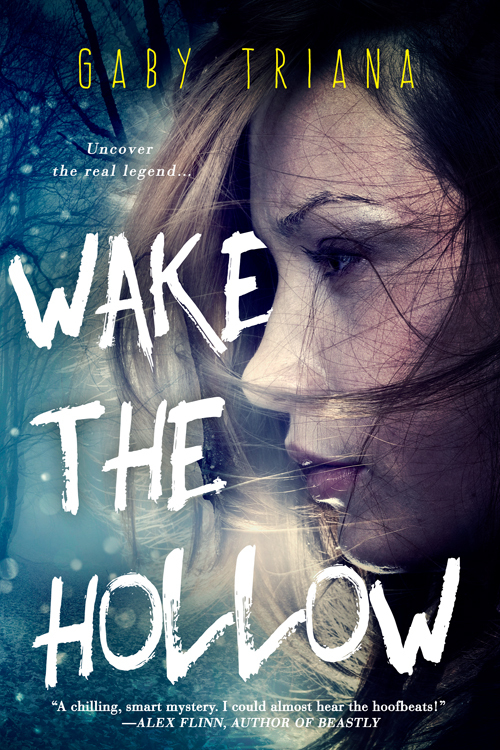 Happy Book Birthday to Wake the Hollow! 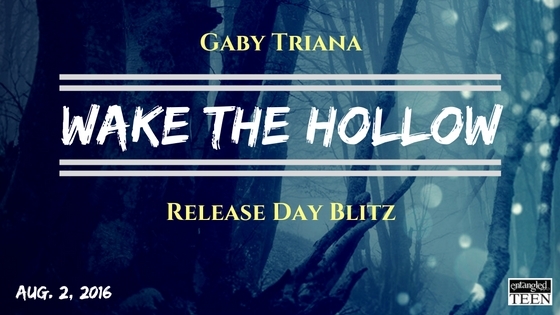 We can’t wait to hear what you think of Gaby Triana‘s Wake the Hollow, which is her sixth published book, but first with Entangled TEEN! We think that it’s a great YA Retelling of The Legend of Sleepy Hollow, which will keep you guessing to the very end. Want a to read a short teaser before you pick up the book? As much as I try to do as she tells me, panic strikes me again. I fight it with a strong lunge forward, and it works. I break away, hurtling toward the ghost woman with outstretched hands. Solid iciness grips me and tugs hard. Suddenly, we’re flying above the chugging steam train, and I’m following her down the grassy landscape. When she glances over her shoulder at me, her face is clearer. Eyes, nose, mouth, for a fraction of a second. I know you. Of what? My God, what does she want? Of us! The woman shouts, her mouth opening into a gaping black hole. I scream. Wake up! Wake up! My own voice shrieks in my ears, drowned out against the screeching of the steam engine. Something holds me down. The paralysis. The woman. I can’t tell… Rock-solid hands grip my arms, too strong to be a frail, grieving wraith. Finally, I let out a shrill cry and force my eyes open. Dark, except for the white blinds over the open window tapping lightly against the sides. I don’t know what I want, but it’s definitely not a psychotherapist telling me I’m delusional. I want someone I can trust near me at all times. I need Bram here, just like this. Every night. I can’t sleep alone anymore. That way, if I do fall into the sleepless abyss again, he’ll be here to yank me free. “Want what?” His confused eyes search mine, heavy breath from the struggle of waking me still on his lips. The air between us, electric. I’m falling from all things sensible, like dreams blending with reality, except reality keeps changing with every passing day. Bram’s face is inches from mine as he tries to focus in the dark. Cover Reveal: Infinity by Jus Accardo! Cover Reveals: Daring the Bad Boy by Monica Murphy and Keeping Her Secret by Sarah Nicolas!